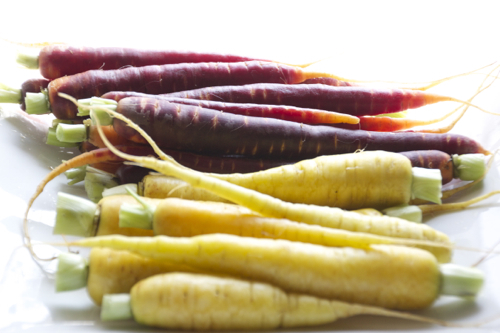 I love Spring and what better way to start off the season than making delicious roasted farmer’s market heirloom carrots! I don’t have the opportunity to go to the Farmer’s Market that often because of my work schedule but when I do have that chance, I take full advantage of it! I go to the Saturday Downtown Burbank Farmer’s Market and sometimes, the Sunday Hollywood one. Shopping at the FM is amazing because not only are you supporting local businesses but you are getting the freshest seasonal ingredients possible! 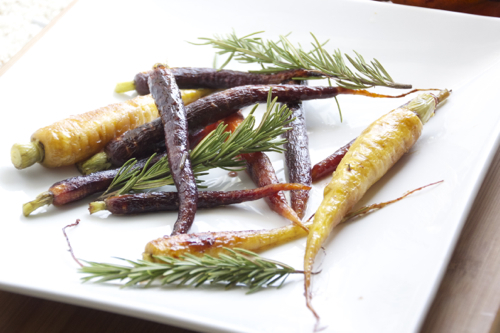 I love to be inspired by the food I buy, so when I saw these heirloom carrots, I knew I had to roast them. 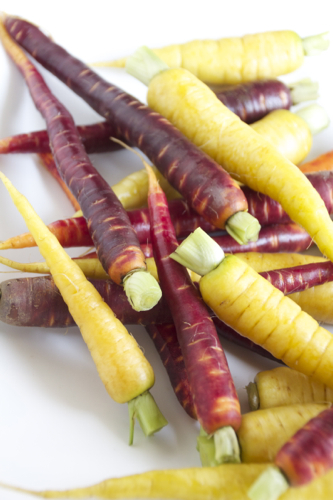 You can’t really find yellow or red carrots at the store and thats what makes this dish extra special! 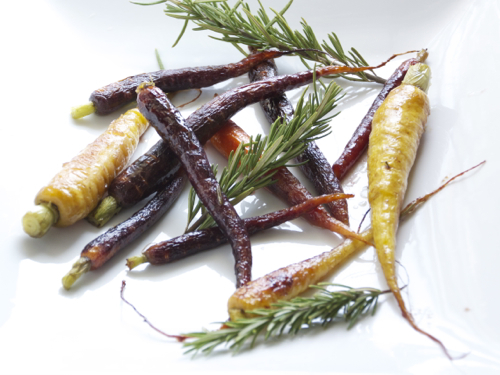 The outcome is this sweet, caramelized buttery carrots that just melts in your mouth! I impressed my guests and they loved every bite of it. Find your local Farmer’s Market Here! 2. 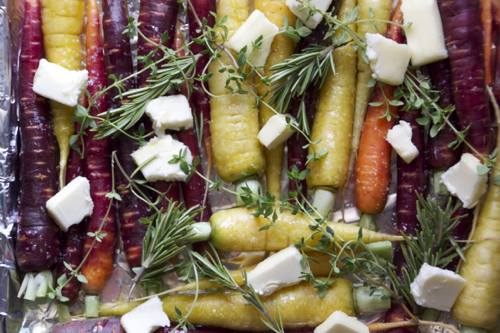 Place carrots in a single layer on a foil-lined baking sheet. 4. Season with some salt and place the fresh herbs on top. 5. Bake for 20-25 minutes, turning the carrots once in between cooking time, until tender. 6. Remove and discard the herbs. *You can use as much honey and herbs that you like, there really is no measurement for it.